Several of my friends hired this local Austin personal stylist. I must admit, I was intrigued. Turns out Michelle is down to earth, way talented, extremely professional and simply hilarious. 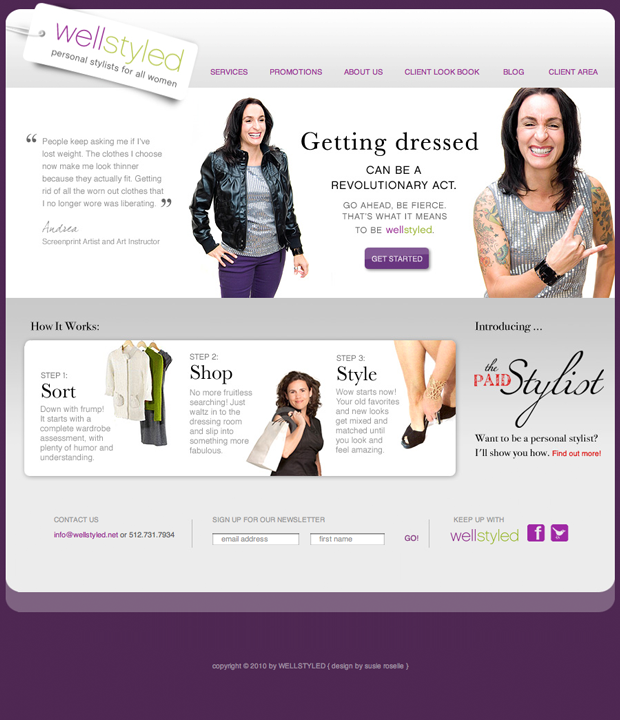 And Well Styled is a brilliant solution for busy professional moms, young women just starting out, brides, grandmas, everybody! Now the world knows. Down with frump! It starts with a complete wardrobe assessment, with plenty of humor and understanding. No more fruitless searching! Just waltz in to the dressing room and slip into something more fabulous. Wow starts now! Your old favorites and new looks get mixed and matched until you look and feel amazing.